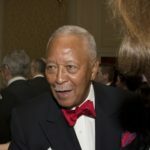 In an interview with WNYC public radio former mayor David N. Dinkins goes into detail about his own misdealing of crown heights, and according to most permitting the riots to go on unrestrained. Starting at 4:15 minutes in and going on to 10:00 the former mayor talks about Crown Heights. then they altered their behavior, then they were able to contain the blacks. He admits his regret that he didn’t do it sooner…..
when he intervened and told the police to get it together, violence was contained. So when he decided to pick up the phone it helped. When he sat on his hands it didn’t help. But he can’t be held responsible for having held back the police? or for allowing blacks to attack Jews? Someone please do something about this! He was the mayor so he has only himself to blame, if Giuliani was the mayor he would blame him. I was one of the victims of “the progrom” on President St. and Utica Ave. During the three days of rage, I called up a close friend who is a field reporter on one of the NY TV stations, for help. He ‘reported” back to me that his contact at the Mayor’s Office told him that everything was under control. He and his wife came to Crown Heights and tried unsuccessfully to get me to leave with them for my safety! I stayed the course because my husband refused to be forced out of his house by the perpetrators of this very frightening time period in the history of Crown Heights thanks to Dinkins! Yankel Rosenbaum is still dead. Will they write this obituary on the 10,000 dollar headboard he bought in the middle of the 1992 recession? Ms. Seliger, Dinkins was too busy watching the US Open (he’s a big tennis fan) & watching that was far more important than a whole community who don’t look like him being attacked by hundreds of thugs WHO DO LOOK LIKE HIM. But 20+ years later…what are we supposed to do now? RIOT?????? Who does he think he’s kidding? Even after the riots were over, he continued his anti-Jewish campaign, even placing spies in 770. He’s only sorry it cost him his re-election, his reputation and a demerit in his upcoming obituary. how about calling him to a second interview? Dinkins is clearly more concerned about his obituary than he ever was with the Jews in C.H. He also sat on his hands during the disgraceful, racist “Korean merchants” protests. He was always oh so careful not to “step on any black toes” lest he offend his core constituency. He would like his obituary to read that the City was in such bad shape during his administration because he inherited the problems from Koch, and give him credit for the City turning around after he was booted out of office. What a joke! He was a horrible mayor and a spineless excuse of a human being. That’s how his obituary should read! No one ever said he was stupid. Prejudiced, yes, ignorant, yes, racist, yes, but not stupid. Why do we have to “Klehr” exactly what his obituary will read – ZOL ER SHOIN PEIGERIN, un dernoch vet men zehn vos tzu shreiben. How did someone so weak and inexperienced ever get voted in? Does anyone remember what the Rebbe said to Dinkins when he was taken to the Rebbe for dollars? Find that clip and look closely. He hasn’t learned much if he’s making a focus on being worried about his obit, how pathetic. There are people here that heard the police unofficially saying that they were told not to take too much action. He is not just stupid, he’s really guilty of not being appropriate for the big job he had. What a shanda. On November 17, 1992, New York Governor Mario Cuomo gave the Director of Criminal Justice Services, Richard H.Girgenti, the authority to investigate the rioting and the Nelson trial. The Girgenti Report was compiled by over 40 lawyers and investigators, and consisted of a two volume, 600-page document of its findings on July 20, 1993. It was extremely critical of Police Commissioner Lee Brown. The report also embarrassed Dinkins on his handling of the riots. The rebbe told Dinkins to be a mayer of ALL the people. This was while he was a canadate. I remember the aditude of people who were scared of being prosequted by Guliani. Everyone thought lets give Dinkins a chance, how bad can he screw up? I still can’t believe he almost admits it. Many blacks say he was the gratest mayor and put policies into place which Guliani later took credit for. Yeh right. I’m curious as to who was advising Dinkins at the time of the pogroms /rioting. Or who was he trying to emulate, impress or please. I agree that he was way too small and spineless for his boots. How did this guy get elected…..these poor people didn’t know what they were in for, whoever voted for him. He has to have been the most pathetic mayor, not to speak of the tragic side of it…..
Well, I guess it’s good that Dinkins admitted he seriously didn’t handle things right during the Pogroms. So now, we’re supposed to feel sorry for him and somehow grant the powers that be our permission to whitewash his obituary???? And, Reader — how interesting what you shared from Wikipedia, about Dinkins being so concerned with having been elected as a ”peacemaker“. Doesn’t that echo the current situation with our president — who has delusions of grandeur that he, too, is a big ”peacemaker”? ‘Time to seriously watch out, with this kind of national leadership! And now, the difference between a black hoodlum, and a jewish hoodlum. They Riot, we Write. We’ll be diplomatic when we want things done, we’ll approach it from 20 different ways just to keep the peace. Maybe there are jewish men who are caught in the act of washing money, of doing stupid things. Yes, it’s out there. But would we ever go and intentionally start a riot because of something that happened by accident? How many times are there jewish men, women, children, bochurim, in the streets of ch who are viciously attacked, mugged, touched and slapped by perveted black youths, an men? Our stores are shoplifted from, and we have EVERY reason to retaliate with violence the way they behave every single day. And yet, we don’t, we never have, and we never will. Because we’re diplomats. Because we don’t riot. Because, at the end of the day, one of the characteristics of a Jew is that he or she is merciful. And a Jew in crown heights would not let himself display revenge physically to anyone who commited crimes. Go back, and read the article about the boy who recently got caught with some other jewish boy’s bike. Shomrim cornered him, and some how he got away. But READ THE COMMENTS. Ppl already wrote them a while ago, and they can’t be changed. You will see that some are responding with anger, but most of us who commented responded with pitty on that boy. And that’s the cardinal difference between these troubled black hoodlums, and us. Not to say that we don’t have our own set of issues to deal with. But we won’t get violent about them. And i sincerely hope that a news syndicate, or some sort of media, or some black hoodlum comes on this site, and reads this comment, and see that anger is something that we have to deal with. If your angry or jealous of some one else, there are ways to deal with it. Violence should be used only in a life or death situation, and that is to protect yourself if you are unable to escape without hurting the perpetrator. NOT FOR MUGGING INNOCENT TEENS, OR STEALING LITTLE BOYS’ BYCICLES, OR GROPING WOMEN PUSHING STROLLERS IN BROAD DAY LIGHT, AND CERTAINLY NOT ON YOM KIPPUR WHEN A JEWISH TEEN AGER IS RETURNING TO HIS HOME TO SLEEP IN PREPERATION FOR THE NEXT DAY’S PRAYERS. Barak Obama is president, the first Black president of our country, you have no more excuse to blame. Race is not an issue any longer. And interestingly enough, in most states, Jewish men and women voted for him. So my question to you, troubled black youth commiting these crimes, have you changed? mendy tells about Dinkins visit to the Rebbe, but there are even more startling details overlooked by many…. First of all the community was requested to vote for Dinkins because he was a Democrat and Democrats are called: ‘The peoples party’ and tend to help with benefits. There were (Are) many poor, elderly and sick in this neighborhood. Blaming the police is a lie. Gov. Cuomo, also, when asked about the riots blamed the police. Dinkins is a liar, like very many in public service. He’ll have to answer to his Maker. Yaaah,you u guys are hardly knowledgeable of the general complex working of politics, you see everything through the prism of little Crown Heights. 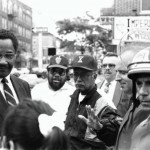 David Dinkins pushet messed up because he hated yiddin, thats why the cops didn’t go. I hope the family sue him and get a lot of money and then do good things with the money they get from it. Like dedicate a library in Yankel’s memory. Maybe they will also be able to pay some of the bills they incurred while trying to get nelson ym”sh behind bars.